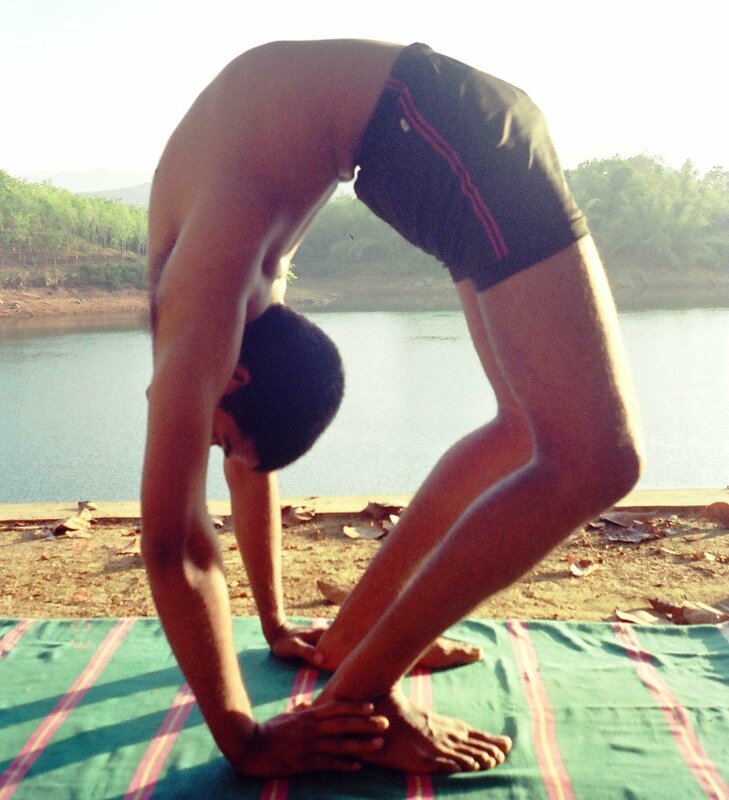 Chakrasana (Sanskrit: चक्रासन IAST: Chakrāsana, Wheel Pose), also called Urdva Dhanurasana (Sanskrit: ऊर्ध्वधनुरासन; IAST: Ūrdhvadhanurāsana, Upward-Facing Bow Pose) is an asana. 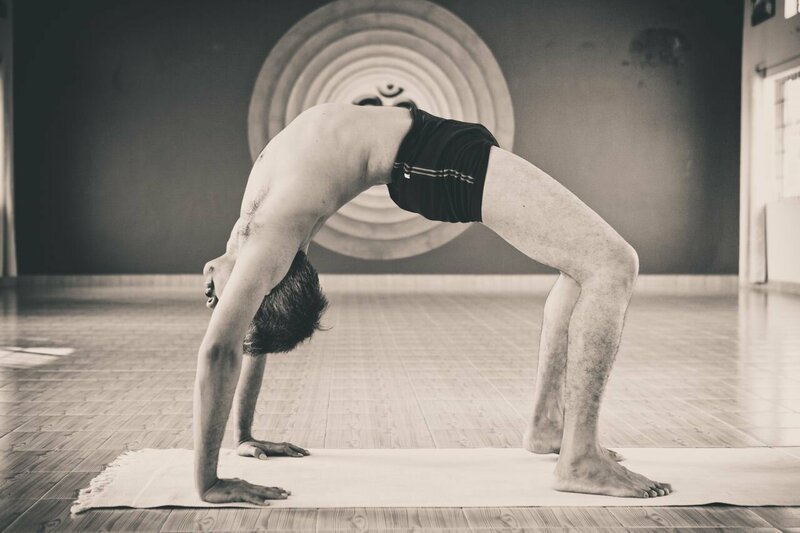 It is a backbend and part of the finishing sequence in the Primary Series of Ashtanga Yoga. The name comes from the Sanskrit words Chakra (चक्र, Cakra) meaning “wheel” and Asana (आसन, Āsana) meaning “posture” or “seat”. In the general form of the asana, the practitioner has hands and feet on the floor, and the abdomen arches up toward the sky. 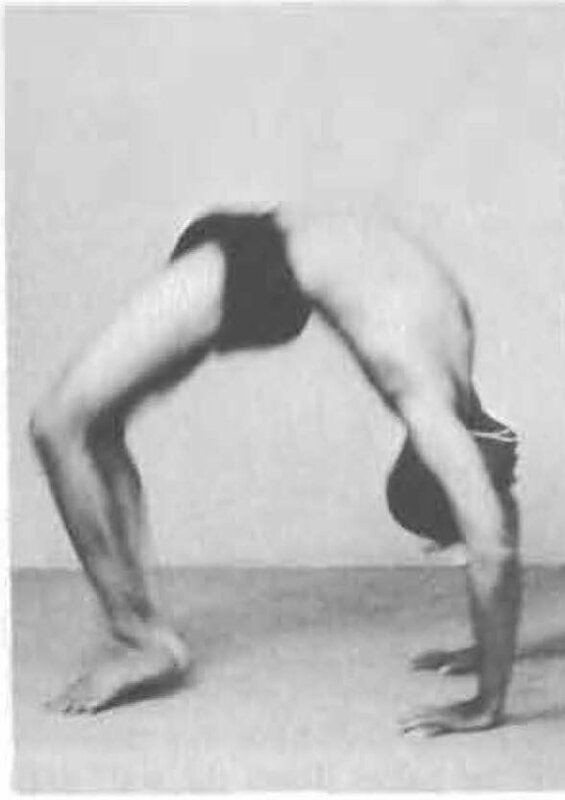 Wheel Pose may be entered from a supine position or through a less rigorous supine backbend, such as Setu Bandha Sarvangasana (Bridge Pose). 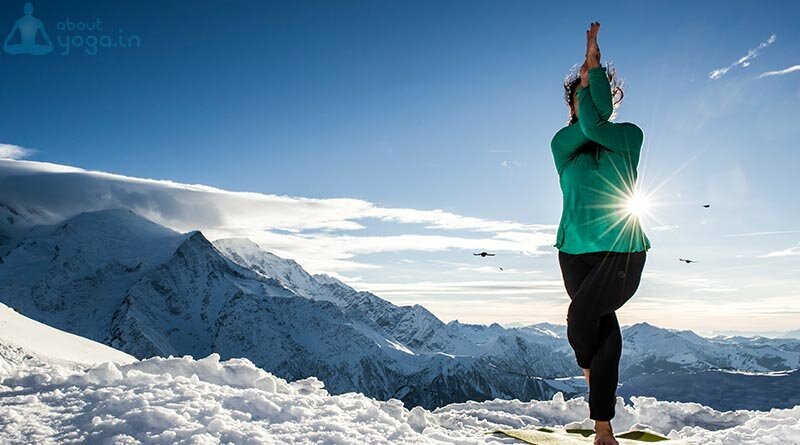 Some advanced practitioners can move into Wheel Pose by “dropping back” from Tadasana (Mountain Pose), or by standing with the back to a wall, reaching arms overhead and walking hands down the wall toward the floor. Advanced practitioners may also follow wheel with any of its variations or with other backbends, such as Dwi Pada Viparita Dandasana, or by pushing back up to stand in Tadasana. Assume a sleeping posture on your yoga mat (on your back), and bend your knees, drawing them closer towards the hips. Your heels should make contact with the buttocks, while feet are planted firmly on the floor below. In the same way, bend your elbows, drawing your hands inwards so that your fingers touch the shoulders. Allow the palms to face inwards, and like the feet they should rest firmly on the floor. Inhale deeply, and using the strength of your limbs thrust your body upwards so that your body is completely raised in an inverted U. You will feel a rush of blood to the head as the lungs expand to fill with air. Hold the pose for a few seconds and exhale deeply as you gently lower yourself to the floor. The wheel pose or chakrasana offers a variety of benefits, both physical and mental. It stretches the lungs and chest, while strengthening the muscles of the buttocks, legs, calves, wrists, arms, and spine. It also strengthens and tones the muscles of the abdominal region and helps regulate the digestive function. It acts as a natural stimulant for the thyroid and pituitary glands. It helps re-energize you and is invigorating, and stimulating. It helps counteract depression. This pose has therapeutic value and is recommended for back pain, infertility, asthma, and osteoporosis. Do not attempt to perform the wheel pose if you suffer from spinal injuries or cardiac disease, or hernia. It should never be attempted unsupervised, particularly if you are not very experienced in the discipline. one leg is lefted straight up into the air. 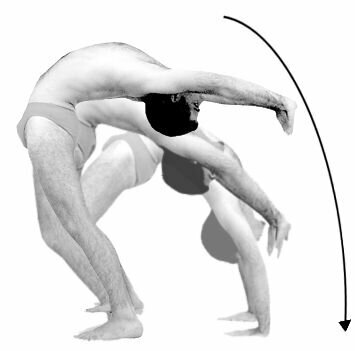 one arm is raised off the ground and placed on the thigh or knee.